Venerable Go Zen was born in 1960 in Taizhong. After completing a master’s degree in Industrial Education at National Taiwan Normal University he served as a lecturer at the Oriental Institute of Technology in Banqiao. In 1987 he took monastic precepts under Thich Tinh Hanh, whereupon he received the Dharma name Tonghui and the ordination name Go Zen (Xingchan). In 1988 he participated in the triple-platform full ordination ceremony held at the Haihui Monastery in Jilong. 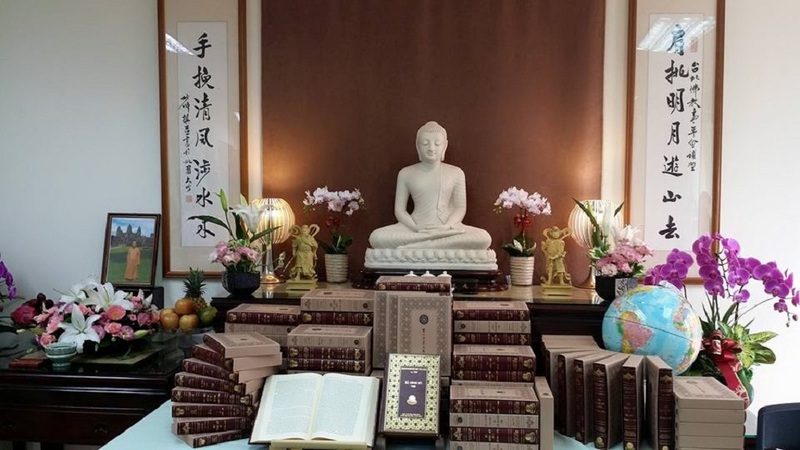 Over the years Venerable Go Zen has taught at a variety of Buddhist institutions, including the Buddhist College of China and the Yuanguang Buddhist College. In 1989 Go Zen began serving as the director of the College and University Division of the Chinese Young Buddhist Association, and thus has helped to organize its winter and summer Buddhist studies camps, which over the past twenty years have been held throughout Taiwan, as well as in Southeast Asia, Europe, and the United States.